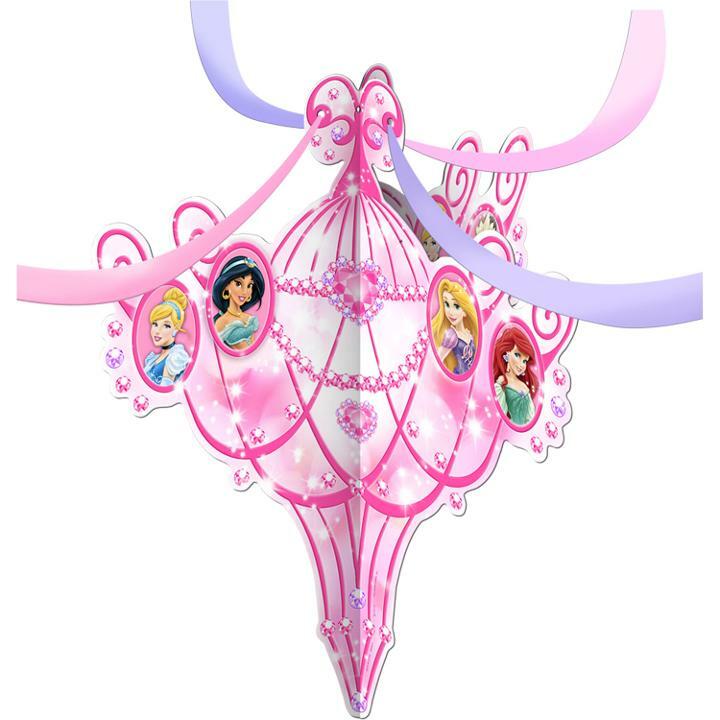 Princess Hanging Centerpiece includes 1 Chandelier (measures 20.5 x 19 inches) and four 8 foot plastic streamers in hot pink and lavender. Turn your party room into the ball of the year with this adorable Disney Princess Hanging Centerpiece! 20.5 in. x 19 in.